Rockstar San Diego is realigning its resources right now, and sources say this means a "significant" number of job cuts. Red Dead Redemption was a huge success when it was released back in May, selling over 1.5 million copies in its first month alone. But now that the game is done, it would seem that Rockstar San Diego doesn't need quite so many people, and sources close to the developer say it has let around 40 people go. The exact number of jobs lost is currently still just rumor, but Rockstar San Diego admits that it is "realigning" its resources as the studio shifts focus from making the game itself to creating DLC. In a statement, Steve Martin, Studio Manager at Rockstar San Diego, said that it was not unusual for team sizes to "fluctuate" over the development cycle and that those affected were being treated with care. 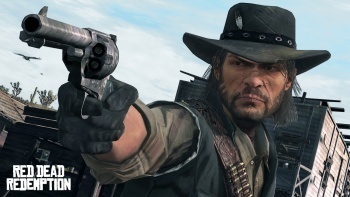 Martin also added that the studio was working on other projects as well as Red Dead Redemption DLC, but said that at present he had nothing to say about a sequel.